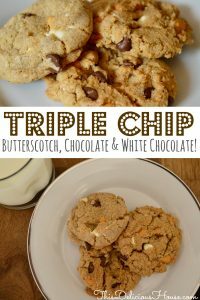 Triple Chocolate Chip Cookies are so EASY and use Butterscotch, Chocolate, and White Chocolate Chips. 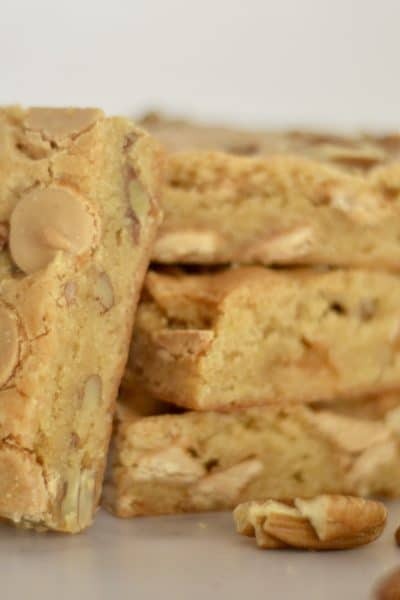 Delicious and simple recipe that will surely be your new go-to cookie! 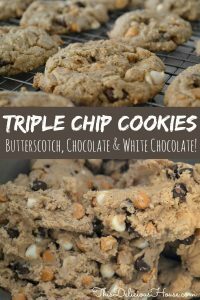 Don’t miss this easy recipe for Triple Chocolate Chip Cookies. 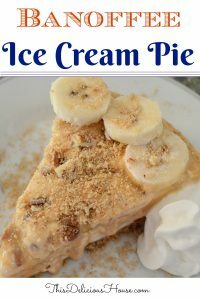 Done all in the stand up mixer, like my favorite KitchenAid Tilt-Head Stand Mixer, you’ll be making this recipe over and over again! 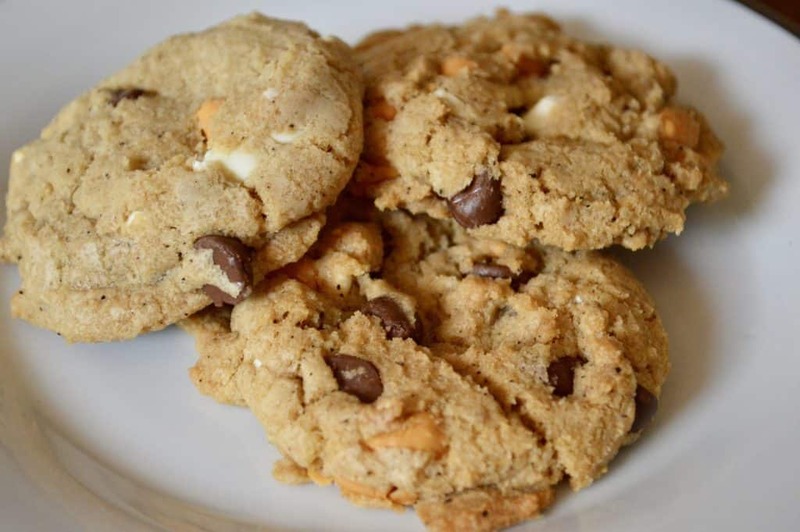 This recipe is sure to be one of your favorite cookie recipes ever! 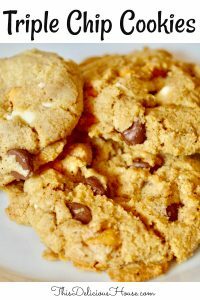 The combination of the butterscotch, chocolate, and white chocolate chips is amazing! 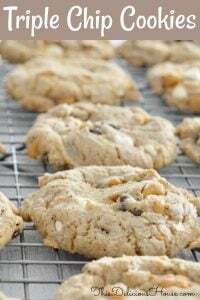 It’s a great cookie to have on hand during the holidays or bake for a cookie exchange. No need to choose between chips with this recipe. Adding all three chips gives incredible flavor and the addition of espresso powder just intensifies it all. And no, you can’t taste the espresso! 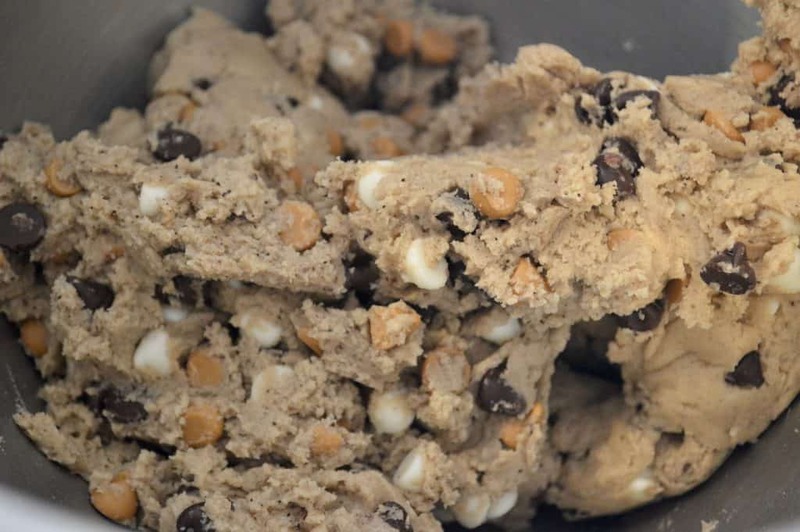 Leave about 3 inches between the cookies when baking and use a cookie scoop to get evenly-sized cookies. 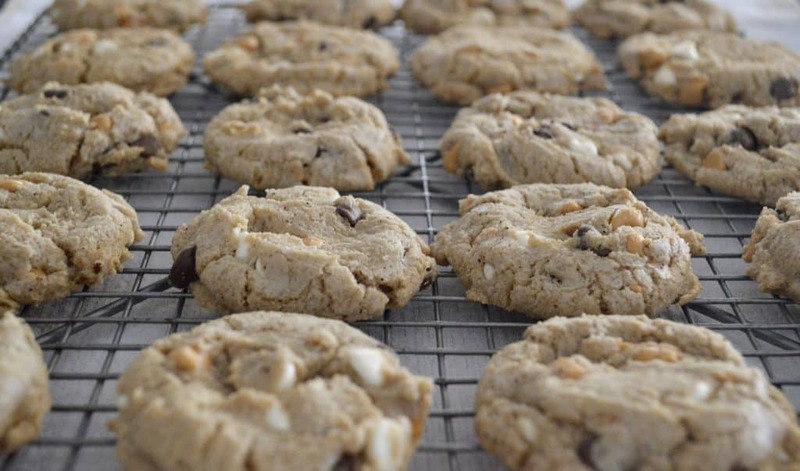 Also, these cookies are best baked low and slow – 300 degrees for 20 minutes. Let cool on a wire rack. Can be frozen up to a month in an airtight container. 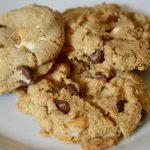 Triple Chocolate Chip Cookies are perfect for a cookie exchange or just a sweet treat to have around. Enjoy! 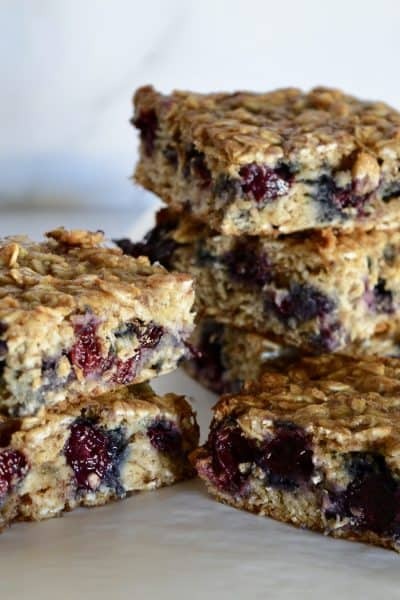 Looking for more easy treats recipes? 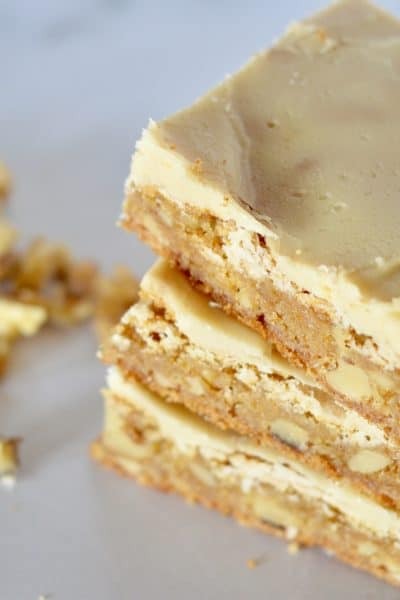 Get my FREE Treats eCookbook here! 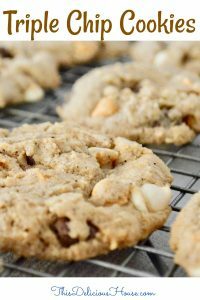 These incredible soft and chewy cookies are made with milk chocolate, white chocolate, and butterscotch chips. Add in a sprinkle of espresso powder to bring out the flavors of the chocolate. Preheat oven to 300 degrees. Line baking sheets with baking mats or parchment paper, set aside. In a stand mixer fitted with paddle attachment, beat the butter and sugars until fluffy (about a minute). Add in the egg and vanilla and beat until well combined. Add in the flour, baking soda, baking powder, and salt, and mix on a low speed until combined. 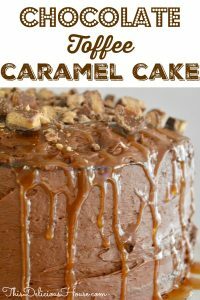 Pour in the chips and espresso powder and mix on low until incorporated, using a rubber spatula to scrape down the sides of the mixing bowl as necessary. 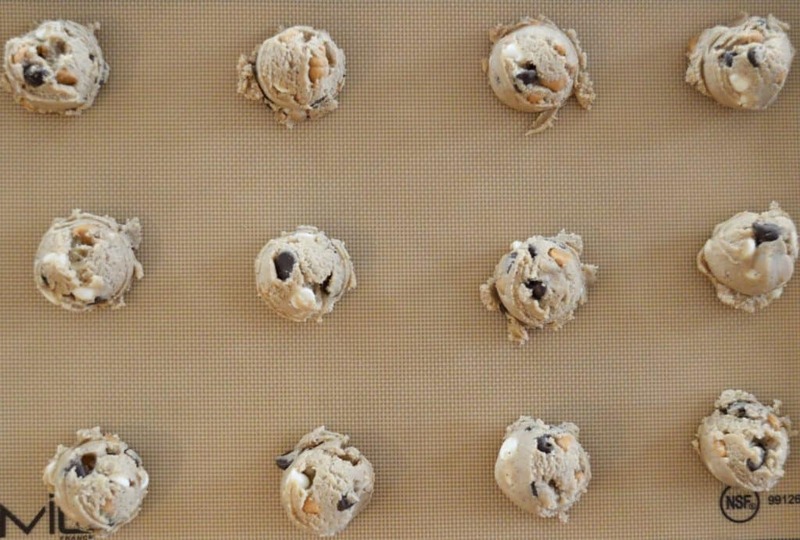 Using a cookie scoop, drop the cookie dough onto the prepared cookie sheets about 3 inches apart. Bake for 20 minutes, rotating pans during baking. Cool on wire racks. 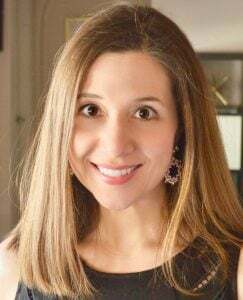 At this Delicious House, I strive to provide readers with simple, easy, and always delicious recipes! Join our subscribers and get weekly recipes to your inbox. Thanks for stopping by! P.S. 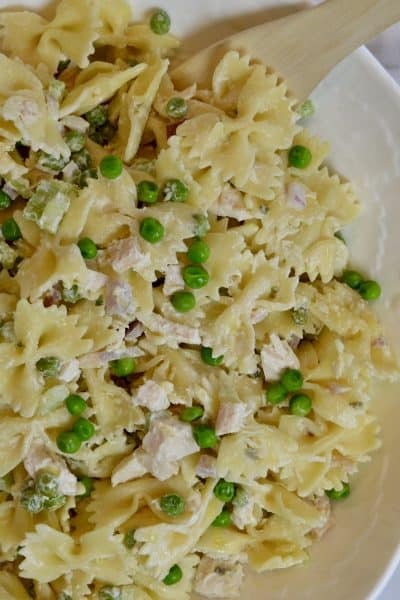 Sign up for the newsletter and never miss a recipe! 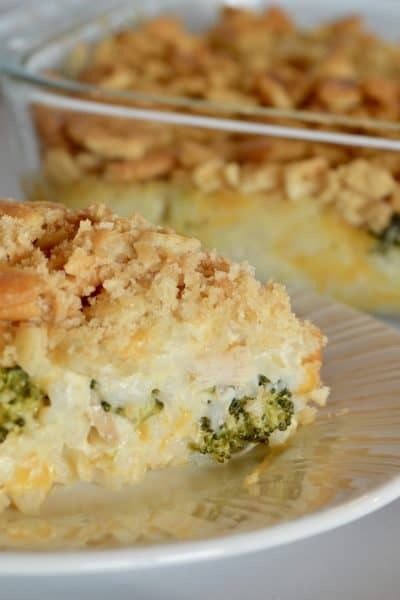 Pick your pin and save this recipe to your Pinterest board! 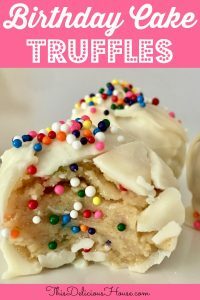 Sign up and get 10 Easy Treats Recipe eBook FREE! Success! 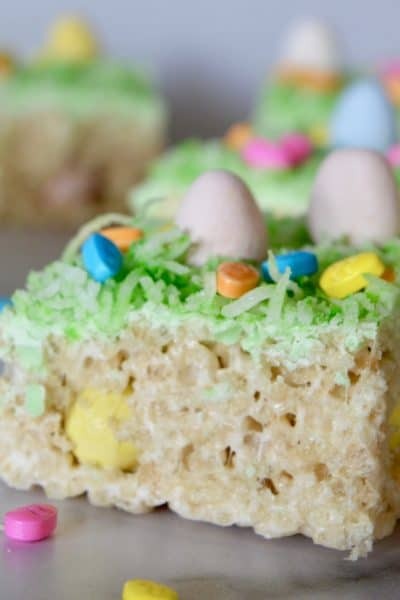 Now check your email and get your 10 Easy Treats Recipes now!